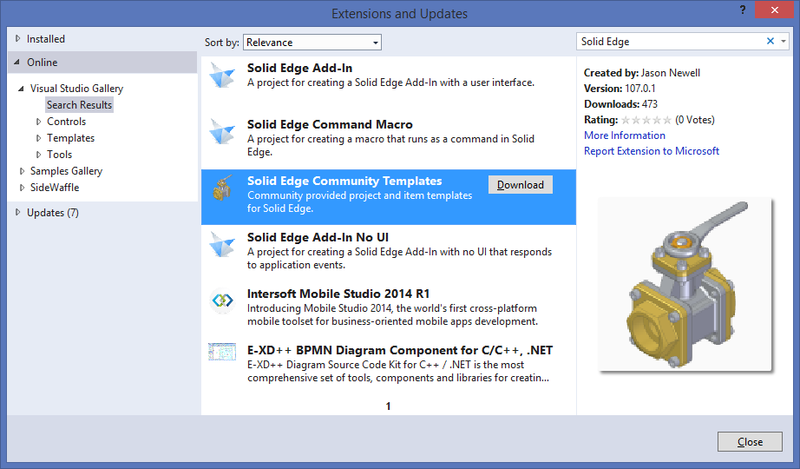 Want to be notified of new releases in SolidEdgeCommunity/Templates? Project & item templates for Visual Studio 2012 & 2013. The templates are published to the Visual Studio Gallery which makes them available for download directly within Visual Studio as shown below.